Stand a chance to view the Big 5 in Victoria Falls in the morning, and watch set beneath the Zambezi River in the evening. Enjoy a Game Drive at the Stanley & Livingstone Private Game Reserve in Victoria Falls and stand a chance to view the Big 5. 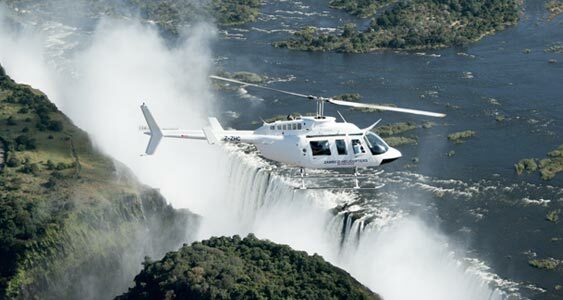 The Stanley and Livingstone Private Game Reserve is situated a convenient 10 minute drive fro Victoria Falls Town. The reserve is home to the Big Five. Guided by knowledgeable rangers you will go in search of the Big Five and experience the sights, sounds and smells of Africa. The morning game drive concludes with a bush breakfast. The afternoon game drive is never complete without a stop with some snacks and drinks as you watch the sun set behind the Africa bush. In the evening settle into a relaxing sunset cruise on either of the two luxury decks of the Zambezi Explorer, and take part in one of the most celebrated moments of the day, watching the African sun sink below the horizon in a splash of colours across the skyline.